It's been about a year since I read The Night Watch, but at last I got round to grabbing the remaining books in the series. I loved the first book and this second instalment doesn't disappoint. It was a little slow starting, maybe because I love Anton's character and he wasn't in the first of the three stories, but soon things picked up and I was sucked into the world of the Others once more. It was great to catch up with my favourite characters from the first book and meet some new ones and I finished this book hungry for more. Luckily I still have the last two books in the series to read! This is a story of witches, vampires and werewolves, split into two groups - The Light Ones and The Dark Ones. There has long been a balance of power between the two and an uneasy truce, but now each group is fighting to tip the scales in their favour. Recommended for fans of Urban Fantasy. There is some story continuation between the books, so it's best to read them in the correct order if you can. 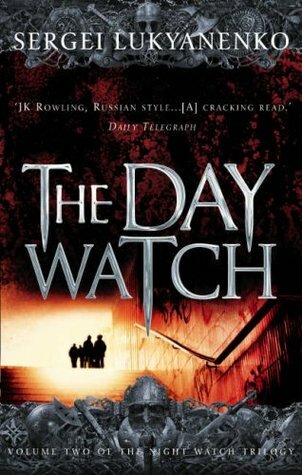 Look out for my reviews of The Twilight Watch and The Last Watch over the next week or so. Oh and there are two Russian films based on the series - Night Watch and Day Watch - that are available with English subtitles and are really great!